We are just back from a few days in Boston and I've got some blogging catching up to do. Along with some serious shoveling out thanks to yet another snowstorm. I think the bill from the liquor store is going to be double the grocery bill for the month of February. 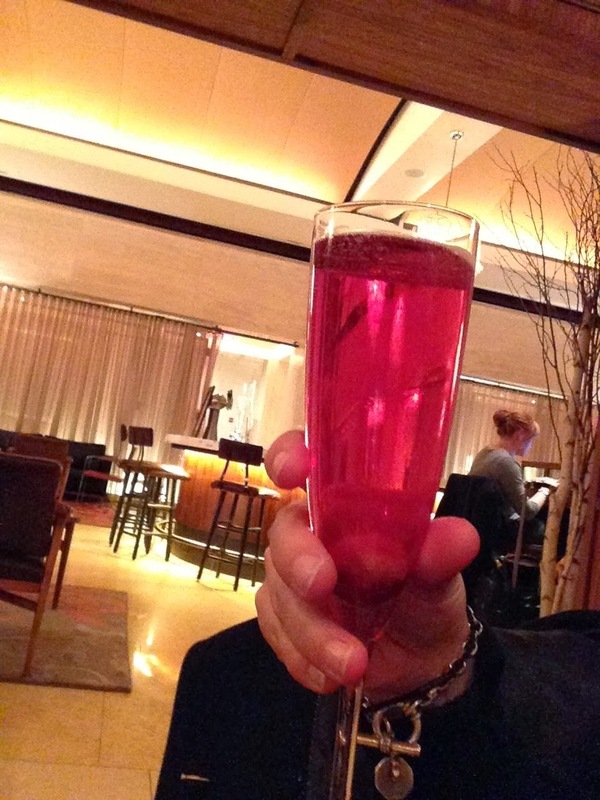 But the good news is that I have a bunch of delicious new cocktails to post, like this bubbly one from the Avery Bar at the Ritz Carlton Boston. We found out the hard way that the Avery Bar isn't staffed on Sunday evenings or all day on Mondays. You can just imagine the sad face I gave the charming concierge when he informed us there would be no Ritzy Blonde in my very near future. Instead he told us we could order cocktails at the Artisan Bistro and carry them into the lounge of the Avery Bar. It wasn't quite the same but I was determined to end our day of museum-going on the couches at the Ritz. There were plenty of other thirsty and confused patrons around the circular Avery Bar just waiting for a nonexistent bartender to appear. I told Mr. C&G to hop behind the bar and put his skills to use. If it weren't for the locked up liquor cabinet he easily could have made enough money in just an hour to cover a few nights at the Ritz. And not just from me.